For BOM Away Monday, I had a productive weekend. 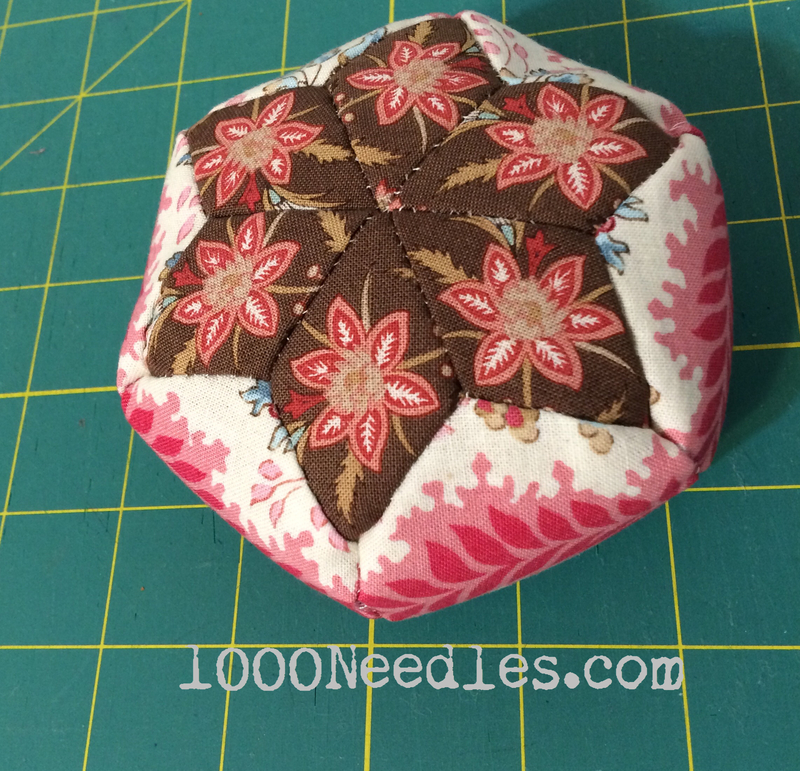 I finished Clue #1 for Scrapitude, I made a pincushion, and I started quilting the gold part of Flowers and Baskets. I started quilting the gold triangles. 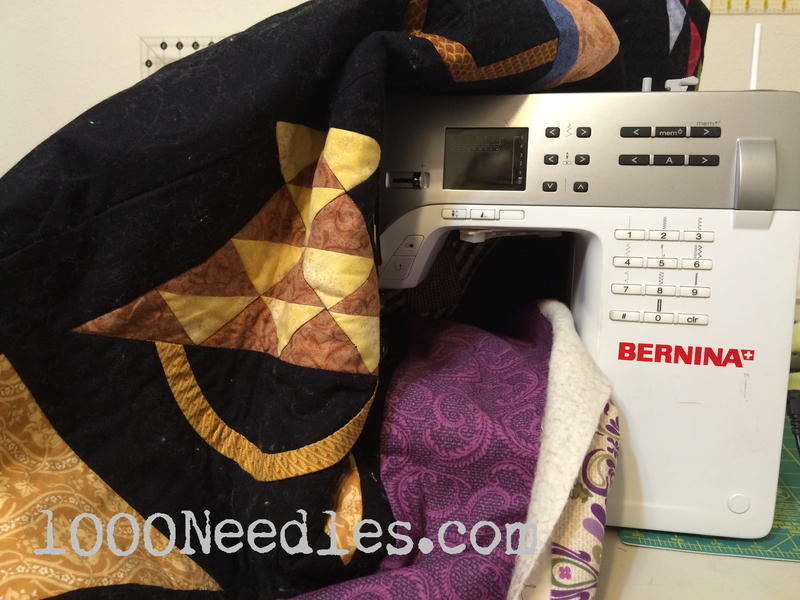 Afterwards, I’ll be quilting the purple border. Once I’ve completed this project, I’ll be working on Tell It To The Stars. It’s still a secret so here is a picture of Tell It To The Stars. 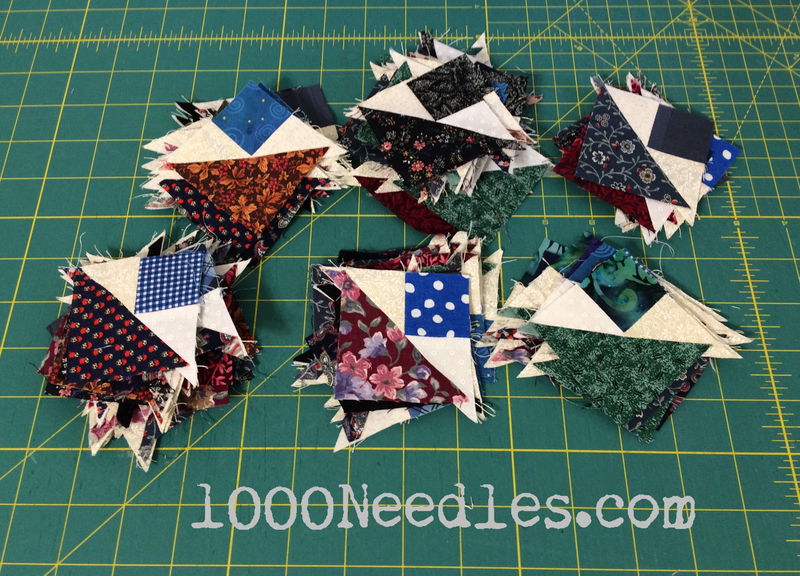 All I need to do is get the borders on, piece together a backing with the left over fabric (hopefully I have enough), baste it, quilt it, bind it… I have three weeks until the next Scrapitude clue so we’ll see how much I’ll be able to get done before Clue #2 is released. 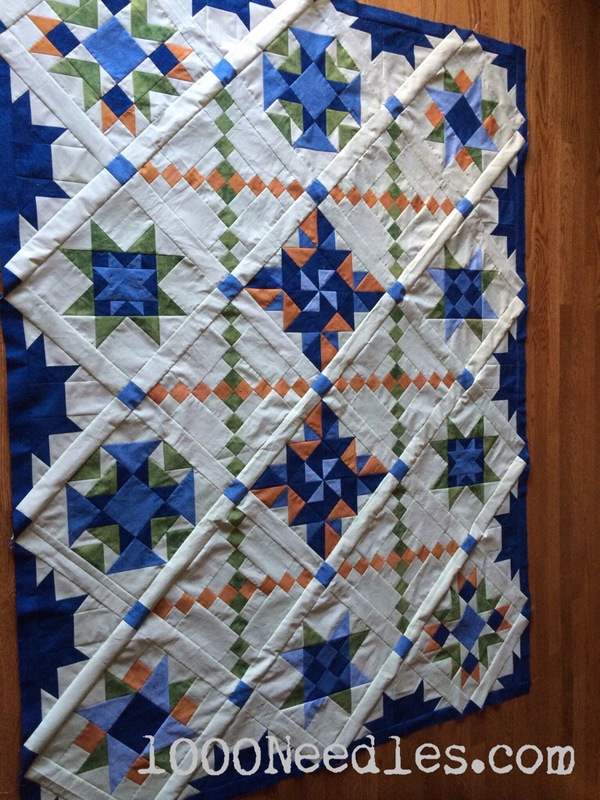 love love your star quilt. Martin Luther King went to be with the Lord way to soon but during his time here he did great things. Visiting from What a Hoot blog. Hey, Melanie 😀 I’m working my way back through link-ups. Your pincushion is so pretty. And way to go on all those Scraptastic components. Those can take a fair bit of time!